As our work week is filled with projects, meetings, and deadlines, we are confronted with juggling stress and managing our time. Many professions force us to be sedentary at a desk in front of a computer or talking on the phone. As a result, constant neglect is placed upon our movement system. Mentioned previously by a world-renowned physical therapist Kelly Starrett, DPT, sitting is the new smoking. Sitting for long periods of time causes the core musculature to be neglected as the body is forced to position itself in a slumped or slouched posture. While sitting doesn’t necessarily trigger aches and pains immediately, it is the repercussion of de-training the specific muscle groups responsible for holding sufficient posture. Overtime, as the human body takes on the shape of their old desk chairs, proper posture diminishes as shoulders tend to round forward, the human trunk weakens, and the lower extremities present tightness and weakness. To counteract the weakening of the body and poor posture as a result of sitting for too long, I have put together a list of strengthening exercises that can be done in your office to keep your body moving! Glute bridges: These can be done on the floor or on a stability ball to strengthen the glutes and hamstrings. Bend the hips down towards the floor and then extending the hips up. Planks: Can be done in a variety of positions from a full push-up or a forearm prone position. The movement is static and can be progressed by using single arm or single legged while holding the prone position. It can also be done on a stability ball to challenge shoulder stability and core stability. Body squats: Can be done assisted or non-assisted by sitting down on a chair and standing up with the hips and knees fully extended. The squat challenges the core musculature and also helps strengthen the gluteals, quadriceps, and hamstrings groups. The exercise can be progressed by eliminating the chair and relying on the gluteals and hamstring on the down ward motion. Another example is to sit up and down on a single leg while engaging the core to create hip stability as you sit and stand up from a chair. Lateral stepping or “walking sideways” on a semi bent hip position: The exercise strengthens the abductors and adductors, also known as the “inner” and “outer” thighs. The exercise also trains the glute medius, which is located on the outer part of the gluteals. The importance of training the abductors and adductors is to ensure proper knee movement while balancing the knees from caving in or knee moving outward during bending motions. Hip flexor stretch: Kneeling on one knee, shift the glutes forward as you keep the upper body in a vertical position. This can also be combined with raising the arm on the same side of the bent knee while twisting the upper on the opposite side. This stretch can also be achieved by stepping on a higher platform for those who have difficulty going down on a single knee. SMR: These can be done by using foam rollers, lacrosse balls, or medicine balls. The purpose of SMR is to relieve the tightness or tension in the muscles caused by excessive exercising or any overuse movements sustained by the muscle groups. Through the application of these device on tight or tender muscle groups, SMR will help release the tension in the overuse muscles, help with recovery and soreness, and bring mobility back to normal. 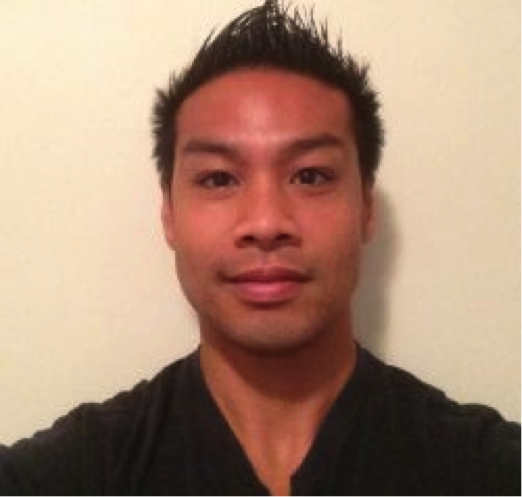 About Christian Villanueva Christian Villanueva, MS, PES, CPT is a strength and conditioning coach, as well as a fitness trainer. His experiences include training a diverse group of clientele ranging from sedentary individuals to recreational and elite athletes. He’s mostly involved with working in the sport of boxing and currently trains world-ranked heavy weight, middle weight, and light weights. He is a big fan of body weight and functional exercises, as well as taking the minimalist approach to physical training. Christian trains out of Global Boxing Gym in North Bergen, NJ, and is also available for private sessions. Learn more by going to his page on GlobalBoxing.com.